Chasing Cottons: Week 1 - Fabric Fabric Fabric!!! and MASSIVE Giveaway!! Week 1 - Fabric Fabric Fabric!!! and MASSIVE Giveaway!! Quilt Class 101 - Week 1 - Fabric! Fabric.... is one of my MOST favourite parts about the whole quilting process. When i went to my first craft show a few years ago.... I absolutely fell in love with fabric. The colours, the vibrancy, the florals, the geometric designs, the textures. As each new range is released... i wonder how it could possibly be better than the last range... but somehow it is... and i once again become infatuated by the next new thing. Throughout this class i want to share with you 'my' way of making a quilt. It might not necessarily be the right way... just my way. Throughout the course i will also expose you to 'other' ways of doing things.. I will have featured bloggers, my favourite designers, my online friends, ALL to help you find the way that best suits you... and get you sewing up a storm. AND if you have a certain way 'you' do things... i want to be able to share that too, by linking up your tutorial at the bottom. It can be a little daunting when you get first think... OK I'm going to make my first quilt and now i need fabric.... and wonder where to start. Look Locally, Most people have a great little quilting store right around the corner. 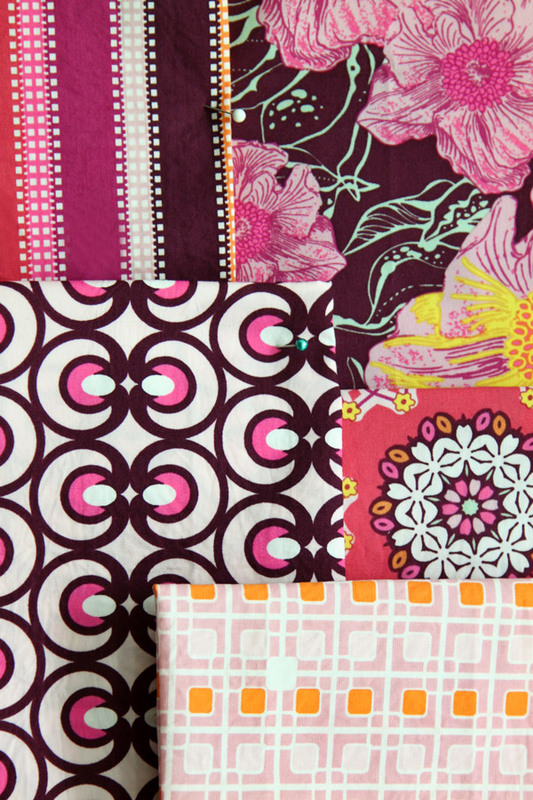 They sell lots and lots of beautiful fabric and all the things you need to get you sewing. OR... Get ONLINE!!! 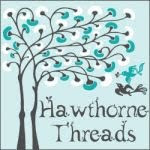 There are so much amazing fabrics available... you just need to know Where to go and What to look for...If you have a look along the right hand side of my blog or look HERE, I have a list of all my favourite online shops. Online shopping can sometimes be easier as you can shop whenever it is convenient for you... and if your like me... you don't have to take your kids into the shop and bribe them with the world, in order for them to be quiet and still. These great online fabric stores have great ranges of fabric, great customer service and super fast shipping. If I order from a Aussie online shop... my fabric usually arrives the next day or two or from a U.S online shop... It usually takes 7-10 days... its quick..
How to Choose what to get?? From me there is really only one answer.... Go with what you love! If you sit and browse through the shops... you will find fabrics that you are drawn to, colours that YOU like. Do you like florals? geometric? dots and stripes? beige's? blues? or hot pinks? yellows?? There are countless numbers of colour books that you can read all about colour wheels... cools V's warms etc. But i just find....to much info... Go with what YOU love. If you find a fabric print you love... it will work. You will enjoy working on it and enjoy it long after it is made. Lots of the fabric available these days are 'Designer' fabrics. My favourite designers such as Pat Bravo, Anna Maria Horner, Heather Ross, Saffron Craig, Amy Butler and many others, release their fabric in a RANGE/COLLECTION. They design anywhere from 10- 30 designs in different colour ways that all compliment each other. They also sometimes release coloured solid fabrics and or 'blenders' (nearly solids with faint design) to match their range perfectly. Two words.... Yardage and Precuts. Yardage?? In America, Quilting fabric is sold by the yard. Here in Australia it is sold by the metre. The fabric is usually between 42"-44" wide or for us Aussies 110 cm wide. Fat Quarter - A fat quarter is a fabric piece measuring 18" x 22". If you cut one yard of fabric into quarters.... you get 4 Fat Quarters. I made this quilt, this quilt, this quilt with fat quarters. Some stores sell these fat quarters either individually or in bundles of co-ordinating prints. 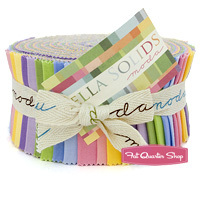 Jelly Roll - Some manufacturers and stores sell their fabric in 2 1/2" strips. They all have different names such as Roll -ups, and Designer Rolls or Jelly Rolls. These strips are a 2 1/2" wide strip x the width of the fabric. I made this quilt with a jelly roll. Charm Pack - Is a pack of fabric containing around 42 squares measuring 5" x 5", I made this quilt with a charm pack. Layer Cake - Is a pack of fabric containing around 42 squares measuring 10" x 10". There are many more... but these are the common ones that I use. Moda (a fabric manufacturer) has an index explaining each of the different packs and what is in them. These precuts are a great way to buy a whole range or collection without having to buy yards and yards of fabric. I am a BIG fan of precuts. I LOVE fat quarters and Charm packs. Its like the question..... How long is a piece of string??? Although, this the first question people ask me when talking about buying fabric... and its a difficult question...?? If you have a specific pattern you are following... the fabric amounts are listed. If you are designing up your own quilt... well, you kinda of have to guess. For a few of my quilt patterns, I drew the design, worked out how much fabric i needed and then ordered the correct amount. However this isn't all that fun. I prefer to find a bundle that i like... say around 12-20 Fat Quarters. I then choose 3 or four of the prints i 'really' like out of the bundle and i buy a yard or two of each to match. The amount really depends whether its a baby quilt, a lounge quilt, a queen size quilt, whether you have large panels, or you cut small pieces. Obviously the smaller your pieces the more fabric you will need as you need to allow for your seam allowance. So I usually buy between 7-14 Yards for a quilt. That makes a nice lounge/single bed size quilt. 7 Yards fits into a post pack nicely for around $12-$14 postage. And if i need extra i can either order more?? Or pop into my local quilt store to grab some more fabric that matches and fits in nicely. If you look at my SHOP section, you can see my quilts and i have a brief description of what fabric i used. That might give you an idea. ﻿ ﻿Now, for this Quilt Class......?? You may be wondering what fabric do i need for this class??? Well, its entirely up to you. During this class I'm going to obviously make a quilt. The quilt i am going to make is a quilt that will teach you techniques. You can make 'my' exact quilt if you want... but what i was planning on doing is teaching YOU how to design and make your own. Next class will be on design.. and i will give you the specifics on the quilt I'll be making if you want to follow along... But otherwise, buy your fabric... and next week I will give you options and places to look for inspiration to help you design your own. $20 Gift Voucher for Oz Material Girls facebook Auction site. The Oz Material Girls have a great Facebook Sale Page where they run regular $1 Auctions and Buy It Now Sales - Join in the buzz with many out of print and hard to find fabrics up for grabs!! What is your favourite fabric range at the moment..????? If your not sure, have a scroll through the shops HERE and pick one!! AND for all my lovely old and new followers.. you can leave another comment!! Make sure you I am able to contact you with an email address if you win.. 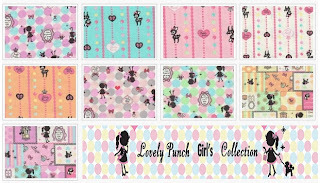 I just love love love Heather Ross Far and Away collection (both of them), with little girls I can't go past them! I am already one of your followers. I really like the Heather Ross design that's on Spoonflower at the moment. It has a little girl playing with her ponies. Cute. I have my eye on Desert Bloom by Jane Dixon from Andover. I try to buy only once a month. Thanks for all the info and recommendations for good shops. I am already a follower. Great give away. What a great read! I absolutely adore Spring Street and Sunkissed at the moment! So much useful info! I love Central Park at the mo. I have so many favourites, but at the moment it is most certainly Sherbet Pips! I just love it! Fab tutorial! There are so many great new fabrics out that it's hard to choose. I love Aviary 2 by Joel Dewberry and I'm also loving Hullabaloo. I am already a follower too!! My favourite range is Sherbet Pips...it is so cute! Thanks for all the great info and the giveaway! I love Sherbet Pips and can't wait for them to reach the UK! Of course now I've seen a sneak peek of Little Apples I want them too! My favourite right at this moment is Swiss Chocolate by Amanda Murphy. Thanks for your quilts class!!!!! I am already a follower too. One of my very favourite fabric lines is Ruby Star Rising by Melody Miller. I need to get some! I just signed up as a follower. I am new to this and somehow commented to another one of your posts so ignore that. I am looking forward to Wednesdays. Hi Rebecca, I have to say that I love the Moda Lil' Rascals range - not my usual colour choices, but oh so cute!! I am loving Kaffe Fassett Spring 2011 at the moment though. Hi Rebecca, thanks for the first class, very informative! I have always liked the Henry Alexander fabrics but at the moment, I really like the Magical Lands range by Saffron Craig. I am excited about your classes! And I have to enter this giveaway... 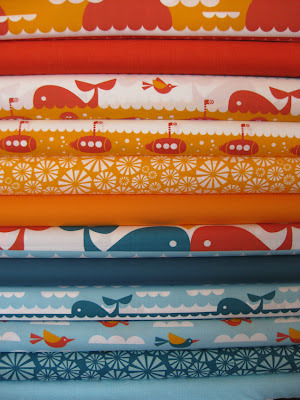 I am loving Saffron Craig's fabrics and especially "Magical Lands". Thanks. I absolutely love Moda Bliss! I can't wait to find time to make a quilt top with the charm pack and Kona solids I have! Thank you for doing this tutorial and for a lovely giveaway! Rather excited about Sherbet Pips at the moment. Great post about a subject very dear to my heart!! Right now I'm loving the Sweetwater line...esp. "Sunkissed" Just made a quilt and a pillow using it. I'm a follower. Thanks for the class and the great post! 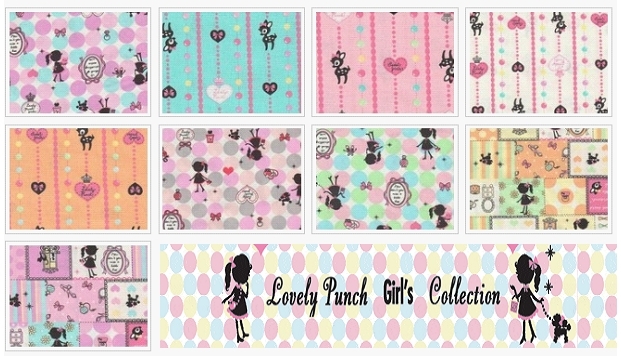 I love the Lovely Punch! So girlie and so me :-). Thank you for the lessons I have now also learnt to be a follower! I love Central Park -Kate Spain and anything Saffron Craign. Thanks and I am deciding on my fabrics today for the class! Yeah! Joel Dewberry is a great one. All of his things are relaxing to me! I love Joel Dewberry's Modern Meadow 2. And my personal favorite collection right now, hands down, is Joel Dewberry's new Aviary 2. It makes me practically swoon! Far Far Away II at the moment is my favorite range. I am a follower - as usual you did a great job! Thanks for the tutorial. So fun! I love Aviary 2 also. Thanks for the chance!! hard decision - I really like Melody Millers Ruby Star Rising but have not been able to snag some yet - everywhere sells out so quickly! Great information! I am a follower. Hard choice because there are SO many lines that I really like right now...have to say that Central Park is probably my favorite right now, but can't wait to get my hands on the Pom Pom de Paris line from French General. Right now I am wishing for Pat Bravo's Bazaar Style. Purple is my favorite color, and I think this line shows them beautifully! I am loving Central Park! Right this minute I am cutting up Alexander Henry Larkspur birds to send out for a VQB, so I am loving it right now. But I am with you. Fabric is why I do this! Looking forward to this quilting class! Hugs!! I like Flower Market by Martha Negley. I am in love with lots of great fabrics right now but if I had to pick on range it would be Saffron Craig's Forest Elements range - I had to buy this as soon as I saw it! Ooh I have so many favourites I don't know what to choose. I'm making a quilt with an It's a Hoot layer cake at the moment and am totally in love with it, it has 2 of my favourite things - birds and dots!! 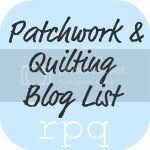 I have followed your lovely blog for a while now! thanks for the great giveaway! I am currently in love with Aviary 2. But I am fickle...new fabric catches my eye almost every week! Central Park is a current favorite. As is Sherbet Pips..... what a terrific giveaway! I love Moda fabrics - and my current favourite is Central Park by Kate Spain - such lovely spring-like colours! what a fun class! my favorite it sherbet pips right now...im waiting to start a pips quilt for my baby girl due in july after i finish my block-a-palooza quilt-along quilt i'm working on now! Does solids count as a fabric range??? Ok this may be boring but I am chasing linens so no actual fabric lines although Aneela Hoey just gave peeks of her to be released and that is a must, it is sooo cute! I am a follower, I subscribe through RSS. My current favorite is Hoo's In The Forest. Thanks for the opportunity to enter your fantastic giveaway! Choose just one fave??? 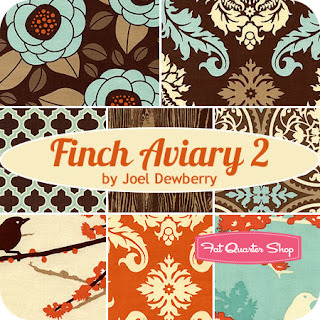 This may take a while being a fabric addict and all... Well if I have to choose one I would have to say that I am loving Aviary 2 by Joel Dewberry in Granite. I am really drawn to yellow and grey at the moment. My favorite new fabric range is Honey Child! I'm loving the lilac palette of Joel Dewberry's Finch Aviary 2, I would love some for a quilt. I'm a follower in google reader too. Thanks for the chance. Right now, I'm crushing on Joel Dewberry's Finch Aviary 2 line. All of them, but thinking more about the yellow. But I have to say that any of the new lines are absolutely beautiful and I would dearly love to have some of all of it!! Thanks for the giveaway!!!!! I'm loving Aviary 2 (in yellow and grey), just like everyone else but I also am loving all the houndstooth popping up everywhere! SO preppy!! I love Sherbet Pips, so sweet! I'm loving so many lines right now....but my number one to buy is Bazaar Style....it will be perfect for my bed! Thanks for this great giveaway! I don't get to see many of the current ranges but I can't wait for Sherbet Pips (and Little Apples) to be available in the UK! I'm liking Sherbet Pips at the moment. Used to be MoMo's It's a Hoot. 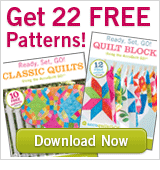 What a great resource for beginning quilters! And thanks for the totally awesome giveaway! I love Central Park and am really into Sherbet Pips as well. Love the beginning of your class! Can't wait for the next one! I'm loving Kona solids right now. Thanks for the Quilt 101 class, I'm looking forward to lots of learning! Right now I'm loving Sunkissed by Sweetwater. I've been a follower of your lovely blog - thanks for this great class and wonderful giveaway opportunities! So looking forward to your Quilt 101 class. I have fallen in love with your Curlicue Crush pattern and am certainly going to need the curved piecing lesson. I really like Kate Spain's Central Park right now--and thank you for introducing Pat Bravo's fabrics to me. Pat Bravo's new line, and Jay McCarroll's! Right now I really really love Laura Gunn's Magnolia Lane collection. I'm already a follower. Thx for this wonderful giveaway and the class. I love Darlene Zimmerman's Sweet Pickins! Can't wait to see it. I am going to become a follower! What a fantastic class and giveaway opportunity! I love Bryant Park by Khristian A Howell in the Balkans Palette. Right now, I am obsessed with Kate Spain's central park line. I love the colors and the fun, playful feel of the fabric! Oh, and I follow you through my google reader- does that count? My favorite fabric line at this moment, on this day, until tomorrow or the next, is Sunkissed by Sweetwater for Moda. Yumm-o! WOW, what a HUGE giveaway! My favorite line right now is Central Park. I am trying to figure out what I can make out of the large floral - I LOVE it! Hard decision, but I have been drooling over Pat Bravo's fabrics latley. Love her essential line and Bazaar Style. Thanks for the chance to win. I'm a follower, too! Thanks so much - looking forward to the design portion! I am a follower too, thanks again! My favorite line is Venice. I love the trees! I'm really loving the line by Michael Miller with all the large flowers. But there are so many others that I'm loving too. Great start to your series! My favorite fabric line at the moment is Habitat by Jay McCarroll-I love the design & the colors are fabulous! I'm a follower-love your blog! Im loving patty young sanctuary line. 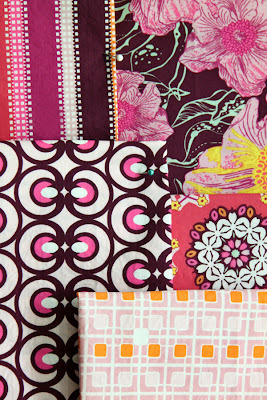 My favorite fabrics right now are Citron, Black and Grey by Michael Miller and a close second is Moda Origins. Currently I am loving Good Folks by Anna Maria Horner. My favorite fabrics are currently Chrysalis and Central Park. Just signed up to be a follower. I'm a multi-interest fabric collector. I'm currently exploring the options that are out there in the modern designer world. I think of them as updated retro. I absolutely LOVE Beetle Bugs by Saffron Craig. I've been following for a couple weeks, and am so excited for this class! It has to be Pat Bravo's Bizarre Style...love it! I am in love with the Blue Hill Fabrics Alice's Wash Day Blues line. I am looking forward to the Quilting 101 series. My favorite fabric right now is Magnilia Lane by Laura Gunn! Thankls for the chance. My favorite fabric line is an old one by Moda called Tranquility. Love the colors and the patterns. Hard to find these days, however. I am a follower and promote this series on my blog. I'm a follower and happy to be one! I keep coming back to the Sugar & Spice line by Riley Blake ~ perfect for some Summer skirts and sundresses for my girls! I just bought Heather Ross fabrics (Far Far Away Princess) for my daughter's Library bag, it was hard to find this fabrics. Also, I love Sherbet Pips and Kate Spain. I'm really liking Habitat by Jay McCarroll. Sanae's Chrysalis and Oh My Lines. I love her bold, jewel-tone colours and the hints of nature in all that she does. I am late to the party, but I'm loving Hope Valley by Denyse Schmidt. And I'm definitely a follower!! Great tutorial today - can't wait to see what the future holds!! Aviary 2 is my favorite giveaway right now, no doubt about it! Thanks for an amazing giveaway! Great discussion!! Right now I can't get enough of strawberry fields... can't wait for yardage to come out! Looking forward to your next classes!! Thank you for this project your have taken on. It will be so fun to learn some new things and to grab some inspiration. My current favorite fabrics are the Australian Aboriginals by M and S Textiles. Canton Village has a great selection. Thanks too for the giveaway! I love Moda's Oasis. Thanks for the giveaway! I am a new follower - very happy to have found you. thanks. So many fabulous lines of fabric to dream about. Really love Greystone by Paula Barnes. thanks for the fantastic giveaway. I love batiks but especially Moda's Sweet Sixteen batiks. Wow, wow, wow! I'd love to win any of these prizes. My favourite line at the moment is Sherbet Pips. I became a follower when I saw your Q 101 class. I am a self taught quilter and I am really looking forward to the coming weeks. Right now my favorite range would be Lovely by Sandy Gervais. Thanks for the chance to win!! i am in love with Alexander Henry Heath right now. wish i could get it by the bolt load! andhis rolling hills print is so fantatstic! what fun! To wash or not to wash??? and a Giveaway! Latest Quilt finished..and Giveaway WINNERS!! !